NRL finals folly: Get back to the ‘burbs! Is there sufficient evidence to overturn the NRL’s finals stadiums policy? I’ve got a decision and I’m going to the boardroom. Try contemplating how Manly’s reward, after slogging it out over 24 bruising regular-season matches to finish a creditable sixth on the ladder, was a ‘home’ elimination final at the Sydney Football Stadium, not at Brookvale? Try pondering why an underwhelming crowd of 15,408 attended a ground with a 40,000-seat capacity. There’s no benefit of the doubt required – there would’ve been a full house of 22,000 at Brooky. Try explaining to Manly fans, Penrith fans and indeed all NRL fans why the backdrop of bays of empty seats made it feel like anything but the first week of finals. Try making home-ground advantage something meaningful. Something worth fighting for. End the season in third or fourth and you get two bites. Finish in fifth or sixth and no one gives a rat’s. 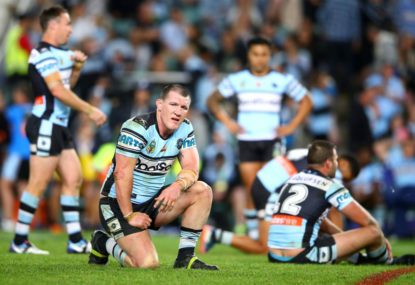 Cronulla were similarly dudded a home elimination final when they were also forced to face North Queensland at the SFS. There’s a fair chance a rabid Shark Park crowd would’ve got them over the line on Sunday. The crowd figure at the SFS was 16,115. Like Brookvale, Shark Park’s capacity is about 22,000. Try reflecting on why there’s a buzz around rugby league when there’s a packed house at Leichhardt, Belmore, Kogarah and Brookvale. It’s because the ‘burbs are the heartbeat of the game. It’s potentially a notion of romanticism above financial and logistical sense, but surely fairness needs to win out, if only for the first two weeks of the finals. 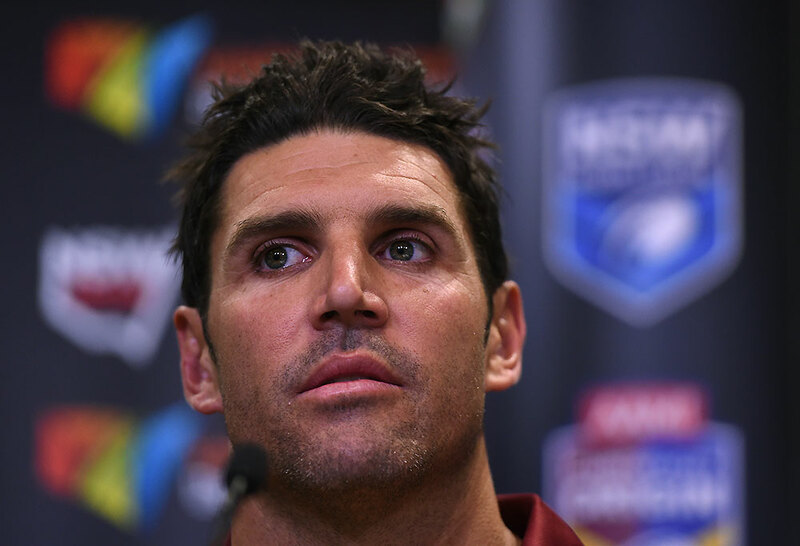 Try examining why Manly players, fans, coach Trent Barrett and chairman Scott Penn feel this is an injustice – that they can hammer the Panthers in front of a bumper home crowd in Round 26 at Brooky and their prize is what? A trip to the SFS. To get pipped by the same side. Try wondering how it’s taken this farce for me to show my first sliver of sympathy for Manly in about 30 years. It’s madness that under the NRL rules finals matches must be played in the major stadiums in the home cities of the higher-ranked team in Week 1. NRL finals haven’t been played at suburban grounds since 2010, when thousands of St George Illawarra fans missed the clash at a clogged Kogarah for their qualifying final against Manly. I’d dare say the clubs affected by this policy – the Dragons, Sea Eagles, Sharks and Panthers – have consistently delivered below-par crowds for finals matches played away from their traditional home grounds. As the NSW government and NRL negotiate how over $1 billion will be spent on upgrading or rebuilding the major stadiums, perhaps a bit of botox on some of the suburban grounds would be far from the worst idea. Only a nip and tuck here and there, of course, as the charm of those grounds is often in their ruggedness. Penn isn’t happy now that the defeat will translate into lost revenue given there’s no more finals action for the Sea Eagles. Of course, it’s fair to suggest they stood a much better chance of rolling the Panthers if they were back at Brookvale on Saturday night. So even though it might make sense financially – often because of the better corporate facilities and hope that a crowd will exceed the 22,000-odd capacity of the home venue – the reality is often starkly different. Apparently, there was insufficient evidence for the bunker to overturn Tyrone Peachey’s match-winning try for Penrith on Saturday night. The combined 49,000 empty seats at the SFS is evidence enough for the NRL’s semi-finals stadium policy to be eliminated. And that needs no qualifying.